Wat Phra That Haripunjaya is one of the most venerated temples in Thailand. 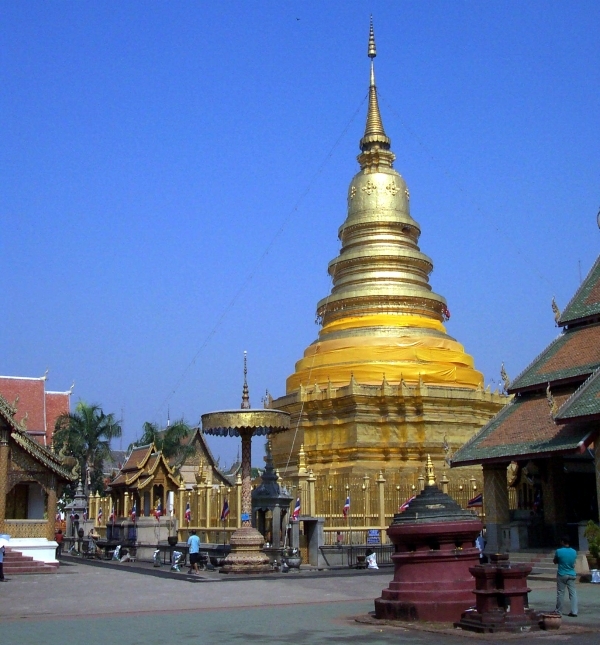 The 50 meter tall gilded chedi (pagoda) in the center of the temple was started around 897, although the founding date for the temple is put around 1043. You enter the temple on the east side, facing the river, through a large gate guarded by two huge singha lions. 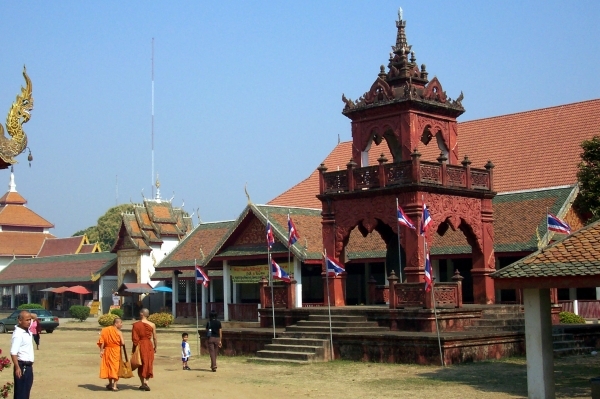 Facing the gate is the temple's large main wiharn (prayer hall), with the chedi behind. To the right of the chapel is a large red tower holding a huge gong, cast in 1860. Several small wiharns dot the compound. 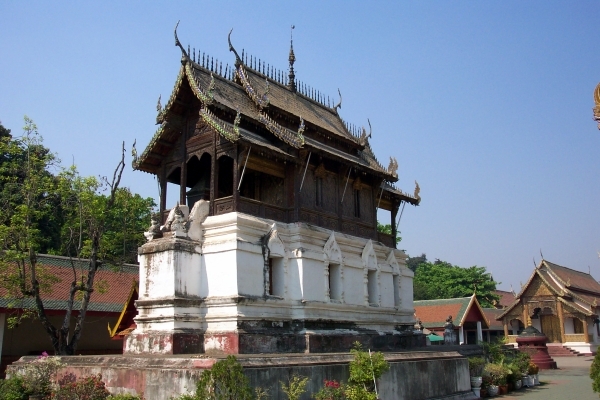 At the north edge of the compound is a small pyramidal pagoda similar to the one at Wat Cham Devi. At the back of the compound, behind the pagoda, is a small museum displaying old artifacts and decorations from the temple. In front of this is an open pavilion covering a Buddha footprint. Back at the front of the compound, on the south side of the wiharn, is the old library, a wooden building set high on a brick pedestal. Behind the temple is an amulet market and the Lamphun branch of the National Museum. The small museum houses some of the oldest artifacts of northern culture, including items from Dvaravati, Haripunjaya and Lanna kingdoms. Across the river road in front of the temple is a relatively new covered wooden footbridge built in a traditional style. The bridge forms a sort of handicraft market with stalls selling many local items. Admission to the temple is 30 Baht (0.78 USD).